Can the secrets of the past be forgiven this Christmas? Christmas is approaching on the island of Jersey, but Libby is feeling far from festive. Her police work and duties as vicar’s wife weigh heavily on her, she’s anxious about her troubled children, and now her best friend, Stella, has suddenly turned against her, citing a mysterious family grudge. Libby is devastated by Can the secrets of the past be forgiven this Christmas? 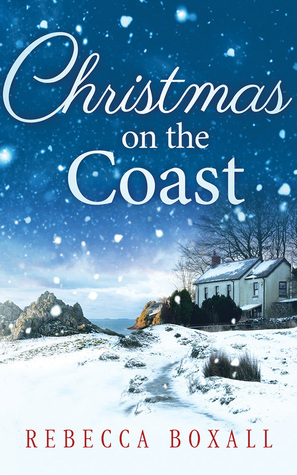 Christmas is approaching on the island of Jersey, but Libby is feeling far from festive. Her police work and duties as vicar’s wife weigh heavily on her, she’s anxious about her troubled children, and now her best friend, Stella, has suddenly turned against her, citing a mysterious family grudge. Libby is devastated by Stella’s unexpected coldness. But then her father shows her a diary written by her great-aunt Queenie, which sheds light on a long-hidden secret—one rooted in love, loyalty and betrayal. Writing during the Nazi occupation of Jersey in the winter of 1941, Queenie reveals a community torn apart by illicit romance, heartbreak and revenge—and by dark acts of fear and desperation. The more Libby immerses herself in Queenie’s journal, the more she understands why its secrets still haunt her family and Stella’s. Christmas is a time of forgiveness, but is the treachery of their shared past too shameful to be forgotten?